Also serving communities of Fall River. There are 5 Assisted Living Facilities in the Columbus area, with 2 in Columbus and 3 nearby. The average cost of assisted living in Columbus is $2,500 per month. This is lower than the national median of $3,346. To help you with your search, browse the 9 reviews below for assisted living facilities in Columbus. On average, consumers rate assisted living in Columbus 4.3 out of 5 stars. Better rated regions include Watertown with an average rating of 4.4 out of 5 stars. Named for Christopher Columbus, Columbus, Wisconsin, is a city of about 5,000 people situated roughly 28 miles northeast of Madison. Founded by Maj. Elbert Dickason and Lewis Ludington in the late 1830s, the area is now home to about 1,240 individuals 55+. There are two assisted living facilities (ALFs) in Columbus and an additional 13 communities in nearby areas such as Rio and Beaver Dam. 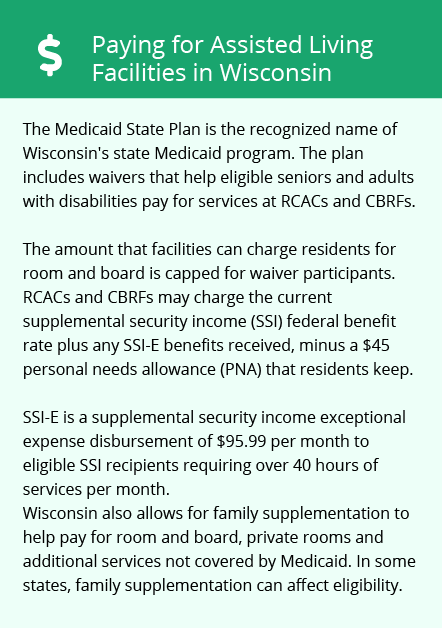 These facilities, overseen by the Wisconsin Department of Health Services, Bureau of Assisted Living, Division of Quality Assurance, offer services such as personal care, behavior management, nursing care, leisure activities and transportation. Cost of living in Columbus, Wisconsin, is just slightly lower (4 percent) than the national average. Housing and groceries are cheaper, giving seniors a financial break, but other areas like transportation are more expensive than usual, and health costs, which can add up quickly for the elderly who have limited or no insurance, are 22 percent higher. While Columbus, Wisconsin isn’t crime-free, seniors won’t have to worry extra about their safety. The violent and property crime rates beat the national averages just slightly by 1.9 and 2 percent, respectively. Like other areas of the Midwest, Columbus has a lower Sperling’s Comfort Index (40 out of 100 versus the national average of 54). Temperatures get down to 11 degrees Fahrenheit, and snowfall is significant at 40 inches. Seniors tend to be more susceptible to the cold due to biological changes and medication, so they should be aware that the tougher winters could aggravate conditions such as arthritis, lung infections and even chronic conditions such as heart disease. Seniors who have or are at risk for respiratory conditions might enjoy a higher quality of life in Columbus, Wisconsin, as the city has better-than-average air quality. Whereas the national average is 58 (100 is best), Columbus sits at 77. Columbus is home to world-class medical facilities, including Columbus Community Hospital, in the event of medical emergencies or illness. Columbus has an array of community resources for seniors, including Fitness-After-50, an organization that provides sports and other activities for physical wellness, as well as six senior centers. Assisted Living costs in Columbus start around $2,500 per month on average, while the nationwide average cost of assisted living is $4,000 per month, according to the latest figures from Genworth’s Cost of Care Survey. Seniors who need financial help for their ALF services might qualify for the SSI Exceptional Expense Supplement (SSI-E), which provides very limited funding. To see a list of free assisted living resources in Columbus, please visit our Assisted Living in Wisconsin page. 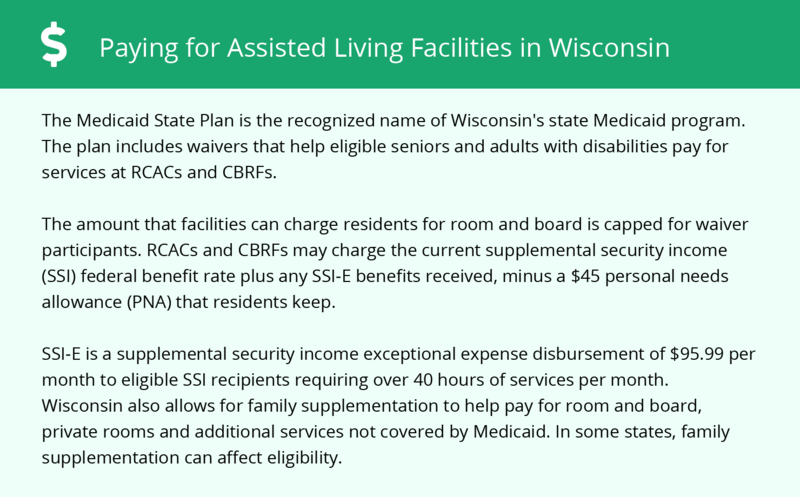 Columbus-area assisted living communities must adhere to the comprehensive set of state laws and regulations that all assisted living communities in Wisconsin are required to follow. Visit our Assisted Living in Wisconsin page for more information about these laws.